Dining outdoors has never been more picturesque as you watch the beautiful sunset from your porch overlooking the ocean. With two levels, this property is great for family and friends to spread out and relax. 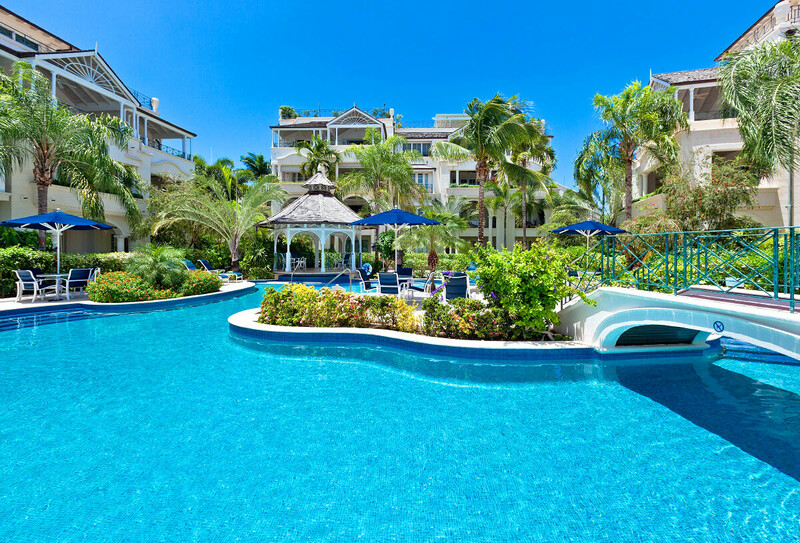 You can view the beautifully landscaped gardens and large, luxurious pool. This property facilitates the luxury of beach living with the charm of Old Barbados nearby. Schooner Bay #307 is right on the ocean and within walking distance to the much talked about Speighstown. Private with stunning ocean views! This luxurious 2 story penthouse features three centrally air-conditioned bedrooms. Each has a luxurious en suite bathroom with marble tiling throughout. The Lookout offers sea views, privacy and exclusivity set within an idyllic beachfront experience with shared pool, entertaining gazebo, beach service along with beach chairs and umbrellas. Outstanding sea views can be enjoyed from the wide covered terrace off the living room, ideal for watching sunsets or dining on warm tropical evenings.